I was pleased to read today that you have come out against the “Go Home” van pilot scheme being run by the Home Office in various London boroughs to encourage illegal immigrants to leave the country. Apparently you were “surprised” by this development, while Liberal Democrat President Tim Farron has called for the posters to be shredded and Vince Cable has denounced the scheme as “stupid and offensive”. It’s wonderful that the Liberal Democrats have found their voice, especially while parliament is on recess and David Cameron is out of the country on holiday. It must be difficult to be part of the government and yet so powerless that such a damaging yet pointless publicity campaign (because let’s face it, two vans driving aimlessly around six London boroughs is really just a mobile dog whistle to the UKIP and BNP constituencies, rather than a serious bid to tackle the issue) – can be rolled out without your knowledge. However, with David Cameron’s jack boot lifted from your neck, you and your party are rushing to make some political mileage a principled stand over a misguided policy that echoes the worst “Go Home” campaigns of past decades towards all immigrants, illegal or otherwise. “exists for the purpose of requiring ministers across government to come up with new ways to make immigrants’ lives more difficult, by outsourcing the scrutiny of their legal status to professionals who must act as unpaid immigration officers. According to journalist Decca Aitkenhead, Teather “shuddered” when she said this, as I’m sure you are now at reading this. How can this be? A working group *at the heart of government* expressly aimed at making immigrants’ lives in the UK as difficult as possible! Not openly, through the visa system, but clandestinely, by insidiously making their status a hindrance in every part of their everyday lives. Then, as now, the Liberal Democrats sought to hide their blushes. In that case, by renaming the committee rather than challenging its very existence and purpose. And now, by crying foul in the media instead of challenging this sort of nonsense around the Cabinet table, where the broad brush strokes of policy intent are discussed. How could such an odious campaign like #racistvan (to give it its twitter moniker) not emerge from a government that has set its sights on harassing the immigrant community? It’s not enough to say that the van is targeted at “illegal immigrants”. Despite the dubious claims from No 10 that “it’s working” , this type of inflammatory PR is offensive to all immigrants, people like me. Tax payers. Family members. Neighbours. Colleagues. Friends. We’re people with lives and stories, not a faceless horde bent on destroying the fabric of British society. Illegal immigration is a reality, abuse of the system happens, but not on the scale suggested by this government’s cynical scaremongering. Statistics are woefully lacking, but where they exist, they are misused, a useful fig leaf to cover the failures of successive governments to invest properly in housing, hospitals and schools. Deputy Prime Minister, you should sit down. There’s more. Your government is planning to press ahead with the visa bond for tourists from certain “high risk” countries (wait…wasn’t that your idea?) and there are plans to make doctors and landlords responsible for checking the immigration status of their patients and tenants. I’m sure this won’t lead to private landlords refusing to rent to people whose names sound foreign in order to avoid an entanglement with the UK Border Agency. And while parliament is on recess, the PR machine rolls on. No matter how ineffectual these vans are, immigration will be the talk of the summer as No 10 keeps feeding the media beast. And while you and your colleagues do not have to face your coalition partners across the Cabinet table, the Liberal Democrats will continue to contrast themselves positively with the Tories – at least until everyone gets back to work. Last weekend, I heard an anecdote from an acquaintance who said that there were Border Agency staff conducting spot checks at a tube station in West London. To be honest, it sounded preposterous. But today a Twitter user tweeted a picture of Border Agency staff doing the very same at Kensal Green station. In 11 years of living happily here in a country I have come to love I have never witnessed such hostile rhetoric and actions. I don’t carry my identity card on me every day as it’s the only proof of my leave to remain in Britain and I like to keep it locked up safe at home with my passport. Is this what Britain has come to? As a black woman with an unusual name, I’m probably very likely to be asked to show my papers. Mr Clegg, this is the out working of your government’s attitude towards migrants. And now that you know, what are you *really* going to do about it? The Evening Standard reports today that the Home Office is spending money on advertising hoardings emblazoned withe the phrase “Go Home or Face Arrest,” which are to be placed on vans and driven around certain areas in London such as Barking and Dagenham and Brent and Redbridge, in efforts to tackle illegal immigration. Like most of the showy and hardline immigration measures promoted by the government, I suspect this is aimed at reassuring the British public rather than dealing with the problem at hand. Interesting, too, that this comes after the Office of Budget Responsibility stunned everyone with their latest report that showed that immigrants will help to contribute to tackling the challenge of paying for Britain’s ageing population in future. This was reported in the newspapers in varying degrees of dismay as as an endorsement for untrammelled immigration. It’s clear that there’s a PR war here and the Home Office is gleefully ramping up public perception of a threat that they are blowing way out of proportion. I have a question for Theresa May. If some illegal immigration is the result of criminal activity, will a billboard really make a difference? Or will it serve to further alienate and frustrate migrants who are here legally? This post has been buzzing around my head for a few days now, but the threads of my feelings and thoughts were too difficult to unpick. Three articles I’ve read in that time on the trial and acquittal of Trayvon Martin’s killer George Zimmerman have been among the most eloquent and perhaps the hardest to read, but thoroughly worth doing so. They’re also linked. One. Gary Younge’s article in the Guardian: “Open Season on Black Boys after a verdict like this” It was briefly taken down for legal reasons, but is now up on the site. Appeals for calm in the wake of such a verdict raise the question of what calm there can possibly be in a place where such a verdict is possible. In a nutshell, he put his finger on the feeling of dismay, disappointment, chest-constricting worry and sadness felt by so many Black people right now. While I think it’s wise to call for cooler heads to prevail, there has also been a lot of policing of Black people’s reactions to the case by commentators in the media. Some conservative commentators have pointed to the statistics of Black on Black crime and urged the community to mourn about that before they consider what happened to Travyon. The implications of the verdict for young Black men are hard enough to swallow without the community being told how they can feel about it. One issue does not negate the other and it is the privilege of those with power who seek to dictate to others how and under what circumstances they can mourn. In sum: bad laws lead to bad outcomes. The law can be applied systematically and you can still have injustice. As I said in number one above, disempowerment: Black people are most affected by these laws but are historically disadvantaged to change them. Like Coates, Butler identifies the problematic laws. But she also lifts the lid on another, less talked about aspect of this case that has played out in the media since the campaign began to have Zimmerman tried for Trayvon’s murder. As a Christian, it’s an aspect that shames and worries me deeply, but I welcome Butler’s honesty. Laws like Stand your Ground and many of the Voter ID laws are being pushed by Conservatives, a large number of whom are from the White Christian Right and who have legislated in fear of so many things (globalisation? religioius pluralism? loss of privilege?) but which finds its face in Black and Brown people. These are laws created without justice in mind and they are badly drafted and do not work. I have seen the tweets and facebook posts. I’ve talked to friends and heard the sadness in their voices. To be honest, I don’t know what to say. I know the “arc of the moral universe is long but it bends towards justice.” I know the balance will be set right and that “He will wipe every tear from their eyes. There will be no more death or mourning or crying or pain, for the old order of things has passed away” (Rev 2 vs 14) but at times like this I feel the weight of injustice and I wonder, how long, Lord? I wrestle with the paradox of what I see and what I have reason to believe. Like Jacob, I wrestle with (my understanding of) God and discover that he doesn’t fade in and out like a faulty radio but He’s everywhere, being revealed and hidden at the same time. When He seems hidden, sometimes I lack the words and the courage to name Him. It is right that we don’t feel peace because justice has not been done. The justice system has run its course but the struggle continues. We need better laws so that the system can function better. We need to have the hard conversations in our legislatures, communities and societies. We need to wrestle with racism and and injustice. 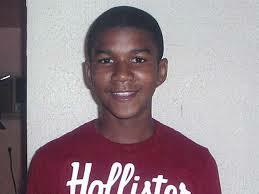 We need to secure justice and peace for Trayvon and all the others like him. And for us, too. *There was a play at the Royal Court Theatre earlier this year or last by this name about the impact of the government cuts on young people. It has stuck with me as a phrase of resistance. 2. A trailer for a film about sharks in a tornado…thank you SyFy channel, for answering questions no one was asking. I do love twitter. It’s hard to explain to the uninitiated, but for a newshound like me, dipping in and out of news streams through the course of the day is a pleasure. And so it happens that a couple days in a row now I’ve come to hear about some immigration debates and research via people I follow on Twitter. Like many others, I’m happy to watch Jonathan Portes taking David Goodheart to task for his lazy prejudice and truth-starved statistics on immigration. I was also intrigued to hear about a Spectator Debate on immigration via Mehdi Hasan, who was tweeting about the fact that he’d be taking part, as would, among others, David Goodheart and Peter Hitchens. Then just today, I see that Sunder Katwala of the excellent thinktank British Future, is speaking at an event organised by Lord Ashcroft, called “Immigration on trial”. However…I can’t help feeling, as an immigrant myself, very much talked about and not talked to. I also think it’s strange to have so many abstract debates. Well, sure, have the debates, but behind all the rhetoric there are people. People like me, with lives and loves and an intricate web of human relationships. And white people (because invariably when we talk about immigration, plaintitive cries about “Britishness” and the loss or absence of it usually reveal that Brown or Black Britons are still very much ‘other’ and what they really mean is ‘white homogenousness’) are just as human as the rest of us. They leave Britain for Australia, Canada, somewhere in Africa, East Asia – there they may work for a while then return home, or they may fall in love, set down roots, stay forever – or seek to return with their families. Immigration is, at its heart, a human story. Facts and figures are so important to illuminate the debate, but in this globalised world we live him, the movement of humans, which has happened throughout the ages, is happening more and faster than ever before. It’s not something “happening to” Britain; it happens everywhere. Britons move around; so do Africans, Indians, Canadians, Americans. An abstract debate may be of interest to some but it doesn’t address the real human impact of immigration, or the human experience of the immigrants themselves. Do we need policies? Absolutely. Do we need facts? No doubt about it. But discussing immigration like it’s something you can stop or opt out of is just ridiculous, unless you’re also going to ground all Britons too. One man’s immigrant is another man’s expat, after all. I can’t stop bobbing along to Gangstagrass feat T.O.N.E.Z. and their curious hybrid of hip hop and bluegrass. Their southern sound evokes Nappy Roots for me, but this goes a step further musically with the bluegrass element. They first came to my attention with their song “Long Hard Times to Come”, which is the theme song for Justified, one of the most underrated TV shows out at the moment. It follows a deputy federal marshall in Kentucky called Raylan Givens. It’s a got the feel of a Western and some really memorable characters, especially the bad guys. It’s also a (fairly OTT?) portrait of small-town Southern life, playing up to stereotypes at times (Southern manners, the drawl, some hillbilly characters) but also unapologetically proud to put a little-seen part of American culture on display. One of my favourite characters is the contradictory Boyd Crowder, Raylan’s ex-best friend and sometime nemesis, played by Walton Groggins (who did a good turn on The Shield). A show where they develop a good cast of well-rounded characters is always interesting. Justified is also funny, sometimes dark and doesn’t take itself too seriously. You only have to watch Raylan strutting around in his huge stetson to see that they’re playing homage to the Western but also having fun with it. And speaking of cats, it’s time to join the rest of the internet in celebrating a(nother) cat video. It was delightful. Kitten heels give you a little lift; just enough to feel flirty and fun, not high enough to feel like you’re on stilts. I was reading Richard Fabb’s article on Comment is Free about how the new spousal visa rules are effectively breaking up his family – and many others – when that phrase jumped out at me. It resonated. It sums up how it feels to rub up against the immigration system, whether as a tourist, a working migrant, a spouse or a student. It’s not just the UK. In this globalised world we live in, people are on the move, legally and illegally, on boats and planes and on foot. I’m not arguing for open borders, but when you start out with an assumption that everyone is a criminal, you continue to frame immigration (and emigration) as a problem from the outset, rather than a reality to be pragmatically managed. It also overlooks all the good that immigrants can and do bring, and the fact that yes, there is fraud, but you also can’t help falling in love with someone with the “wrong” passport or from a different country from you, a different race to you. It happens. Tearing apart families to target the few is just plain wrong but we keep doing this. It’s the criminals, stupid. Target them, not us.